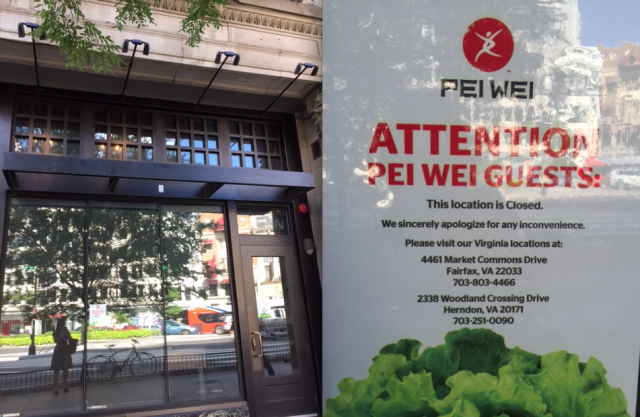 Pei Wei Asian Diner opened in the former Mattress Discounters space next to Nando Peri Peri and underneath 18th Street Lounge back in Sept. 2013. I never actually had the chance to take a taste – where there any fans? Super fans can still get some in Fairfax or Herndon. Updates when we learn who takes over the space.